Following stupendous growth in financial and economic center and housing of several prominent international and national conglomerates like SouthWest Airlines, At & T etc. 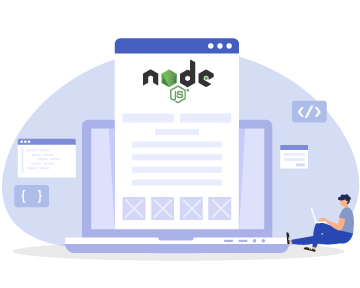 and more coming in the queue, technology like Node.js is gaining strong momentum and is being implemented by major companies in Dallas and across the world for its flexibility and usability. Therefore Dallas has become a hotspot for software geeks to set their eyes on for a bright career in Dallas, Texas. Join the world-class learning experience in Node JS Training Course in Dallas, USA, where with our mentor-programmes focused on one-to-one teaching and hands-on assignments, you would learn to build robust applications that are superior and efficient. This course is designed for students and professionals desirous in advancing their career in the web development or application development. Fundamental concepts of server technologies like .NET, J2EE, Ruby etc.